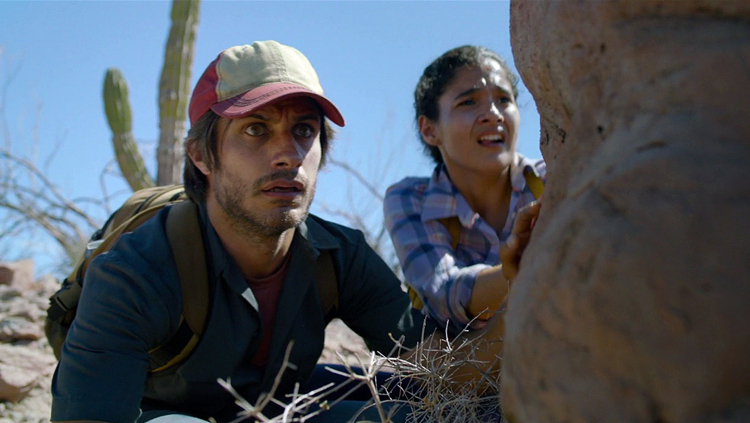 Desierto, the migration thriller by Mexican director Jonás Cuarón and starring Gael García Bernal and Jeffrey Dean, was the winner of the Grand Coral award, the top prize for Best Film at the 38th annual edition of the Havana Film Festival, it was announced last night at a ceremony. In Desierto, what begins as a hopeful journey to seek a better life becomes a harrowing and primal fight for survival when a deranged, rifle-toting vigilante chases a group of unarmed men and women through the treacherous U.S.-Mexican border. In the harsh, unforgiving desert terrain, the odds are stacked firmly against them as they continuously discover there’s nowhere to hide from the unrelenting, merciless killer. The Grand Jury Prize was presented to the Cuban film Last Days in Havana / Últimos días en La Habana by Fernando Pérez, and the jury gave a Special Mention to the Chilean film Jesús by Fernando Guzzoni. Simón Mesa's Madre from Colombia was the winner of the Best Short Award and the Chilean film Las cosas simples by Álvaro Anguita received a Special Mention. Colombian filmmaker Víctor Gavíria received the award for Best Director for his film The Animal's Wife / La mujer del animal, while Sonia Braga was the winner of the Best Actress award for the Brazilian film Aquarius, and Luis Alberto García for Best Actor for the Cuban film Ya no es antes, which also was presented with the Audience Award. Other winners include Natalia Polo for Best Screenplay for the Argentinean comedy El ciudadano ilustre / The Distinguished Citizen; Inti Briones for Best Cinematography for the Chilean film Aquí no ha pasado nada, Hervé Schneid for Best Editing for Neruda, Sheyla Pool for Best Sound for Last Days in Havana, Woodkid for Best Original Music for Desierto, Estefanía Larraín for Best Art Direction for Neruda. In the Best First Film competition the winner was Winter / El invierno by Emiliano Torres, while the Chilean film Rara by Pepa San Martín received a Special Jury Prize, and the Paraguayan film Last Land / La última tierra by Pablo Lamar a Special Mention for its Artistic Contribution. The Chilean documentary film El viento sabe que vuelvo a casa / The Wind Knows I'm Coming Home by José Luis Torres Leiva was the winner of the Best Documentary Award, while the Mexican film Plaza de la Soledad by Maya Goded received a Special Jury Award.